Take a day trip from Guatemala City and explore a moderate sized ruined city of the Maya civilization, the ruins of Mixco Viejo. Discover the fascinating history behind the temples, pyramids and ball courts of this ancient archaeological site from your expert guide. Wedged between deep ravines, this incredible piece of history is one Mayan gem you must see! Immerse yourself in the intriguing history of ancient Mayan culture on this day trip to the Mixco Viejo ruins from Guatemala City. Discover unique, impressive ancient Mayan ruins and learn about their history and significance from your expert guide. After pickup from your Guatemala City hotel, venture approximately an hour west to the town of Chimaltenango. 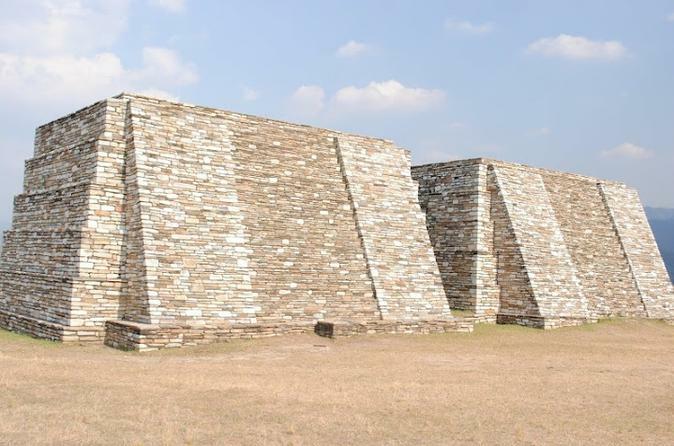 Wedged between deep ravines, Mixco Viejo was once an important Mayan city and the capital of the Poqomam Maya kingdom. Now divided into several areas, the site contains more than 120 major structures, including temples, palaces and ball courts, where an ancient Mesoamerican ballgame sport was played. As you wander through the archeological site, your guide will educate you about the significance of the pyramids and temples, including Pyramid A1, which is the main pyramid, and Pyramid B3, featuring two structures built on a single platform. After a guided tour of these fascinating ruins, enjoy a lunch break (own expense) and spend free time exploring on your own. Afterwards, you’ll be transported back to your Guatemala City hotel.